I’ve been published again and this time I have two haiku appearing in Three Line Poetry issue #11, edited by Glenn Lyvers. Don’t pass up this opportunity to read some great new poetry for free or, for a small sum, in print. Feel free to view other free issues of Three Line Poetry as well. Support Three Line Poetry and modern poetry! 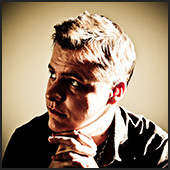 A few weeks ago I submitted 23 finished poems to literary magazines all over the country. As of today, I have 3 / 7 accepted for publication. One has already been posted at Drunk Monkeys (“Edith Wharton and Old Samurai Movies“) while the other two, accepted at ThreeLinePoetry.com, are still forthcoming. Any day now, rejection letters will come pouring through my door, but until then I’m going to remain naively optimistic. Here’s to a great year so far! In other news, after two months I’ve finally managed to post my last two art photography video slideshows on my portfolio (Monochrome and Ruminations in Sand, 2011 and 2012 respectively). Be sure to check them out and let me know what you think. I’m done with my experimentation in beautifying point-and-click wide-angle photography. Upgrading to a bigger camera soon. Since I’m on a budget, I’m looking at the Canon T2i or Nikon D5100, plus a medium (15-55mm) and long lens (either 50-250mm or hopefully 75-300mm). Also, my two latest film projects are well underway: Eggies (post and pics coming soon) and an as-of-yet untitled serious short film which is currently being scripted. More on those projects later. Until then, keep on dreaming and creating. We were given imagination so that we could weave worlds without. Remember that. My latest published work (“My 30th”) can be found in the new poetry anthology called The Poetic Bond, edited by Trevor Maynard. Please purchase a copy and support all the poets who contributed to this creative work. To read more about the anthology, please visit the website at www.thepoeticbond.com. 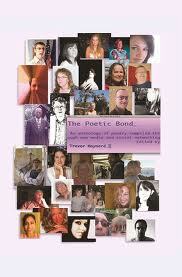 You may purchase a copy through Amazon: http://www.amazon.com/Poetic-Bond-anthology-professional-networking/dp/1466498412. Or directly from the website: http://www.thepoeticbond.com/paylinepage.htm.